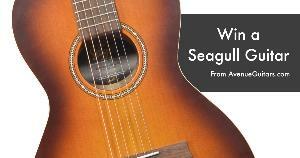 Prize: Seagull Entourage Rustic Guitar-This Canadian-made parlor guitar is the perfect size for travel, camping, or just playing around on the couch. Statistics: This contest was opened by 59 and entered by 6 ContestChest.com members. 10% of those who opened the contest, entered it.